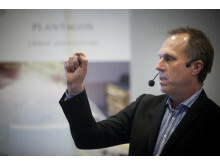 Plantagon CEO Hans Hassle has been named CEO of The Year 2012 SWEDEN by European CEO. 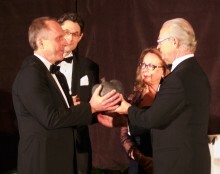 "A world leader in the field of corporate social responsibility, the founder and CEO of Plantagon has become a shining beacon of inspiration for ethical business people ... Hassle merges the principles of a non-profit and a for-profit organisation, ensuring the company is equally responsible for the success of both intentions", the journal European CEO says in its nomination. "In times of uncertainty, great chief executives must strike a balance between seizing opportunities and exposing the company to excessive risk. Examples abound of those who thought they were achieving the former but ended up doing the latter. 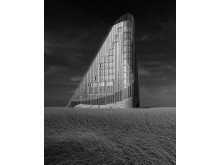 Here, weíve selected those CEOs from around the globe that we believe to have performed to the best of their abilities, in the European CEO Global CEO of the Year Awards, 2012", the journal says in the introduction to the Awards. 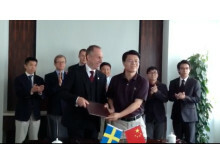 "I am extremely touched and honored to have been named CEO of the Year 2012 - Sweden. 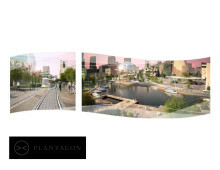 But I am also glad that a small company like Plantagon can not only become leader in a new field like Urban Agriculture, but also serve as a model for sustainable business and leadership", says Hans Hassle, Plantagon CEO. The full motivation says: "A world leader in the field of corporate social responsibility, the founder and CEO of Plantagon has become a shining beacon of inspiration for ethical business people. Having written on the subject of business attitudes in his homeland, Hassle’s early life as a travel journalist has had a profound effect on his career in business, and his organisation was founded in cooperation with the Onondaga, a Native American nation. 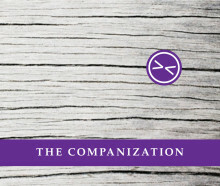 Always promoting a moral basis for business, Hassle merges the principles of a non-profit and a for-profit organisation, ensuring the company is equally responsible for the success of both intentions." 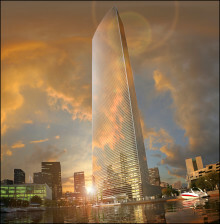 The public announcement was made in the April - May 2012 issue of the journal European CEO. Go to the journal here. 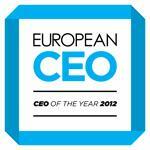 Read more about European CEO of The Year here. 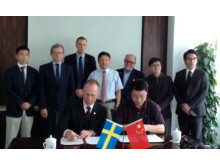 Swedish innovator Plantagon International, pioneer in innovative vertical urban agricultural solutions, is setting up the Tongji-Plantagon Research Center with Tongji University, Shanghai. 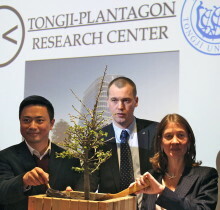 Under the auspices of His Majesty King Carl XVI Gustaf of Sweden, the Consul General of Sweden in Shanghai Ms. Viktoria Li officially opened the lab during a formal ceremony at Tongji University on April 3rd. 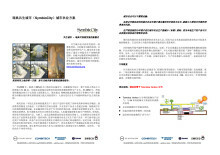 Plantagon is endorsing partner of Resilient Cities 2012, 3rd Global Forum on Urban Resilience and Adaptation from 12 to 15 May 2012 in Bonn, Germany. 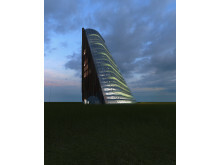 "We are excited to be part of Resilient Cities. 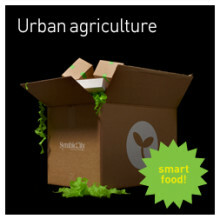 Feeding the city is one of the major challenges ahead. 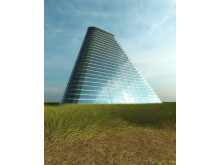 The Plantagon Greenhouse is a response to this challenge", says Hans Hassle, CEO of Plantagon. 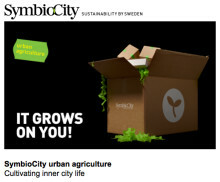 Sweden launches a new offer to feed the cities of the world through SymbioCity, a network of Swedish companies and organizations within sustainable urban development, founded by the Swedish Government and Swedish Industry. 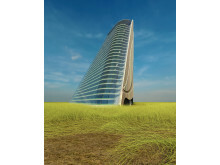 The new offer Urban Agriculture, is a new way to cultivate food by building vertical greenhouses that reduce transport costs and emissions. 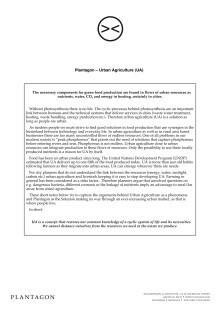 Presentations from the Plantagon Urban Agriculture Summit 2011, held at House of Sweden, Washington D.C. on November 16, are presented here http://event.plantagon.com/urbanagriculture/ Participating experts were Professor Oren Lyons, Chairman Plantagon International; Keith Curtis, Senior Energy Advisor, US Department of Commerce; Tony Socci, US Environmental Protection Agency, and many more. 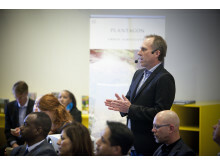 Hans Hassle, CEO of Plantagon, speaks on "Feeding the city", in the televised seminar about Urban Agriculture by The Swedish Educational Television, UR Samtiden. 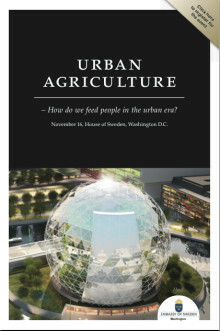 The title of today's seminar is "The city of our dreams: Farming in the city." 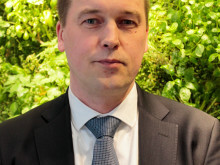 Also participating: Jan de Wilt, Innovatie Netwerk; Stefan Jakobsson, Tekniska Verken in Norrköping and Jürgen Granstedt, Agroetanol. 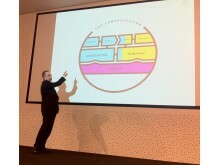 Now we are here - about Plantagon today with introduction by Plantagon CEO and founder Hans Hassle.